Unfortunately, the line between truth and fiction significantly blurs when seen through the eyes of someone dealing with mental issues. For that person, it’s one or the other; there’s no in-between. 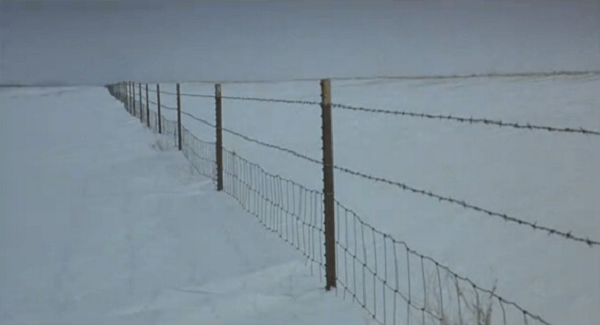 David Zellner presents this dilemma in his powerful film, Kumiko, The Treasure Hunter. 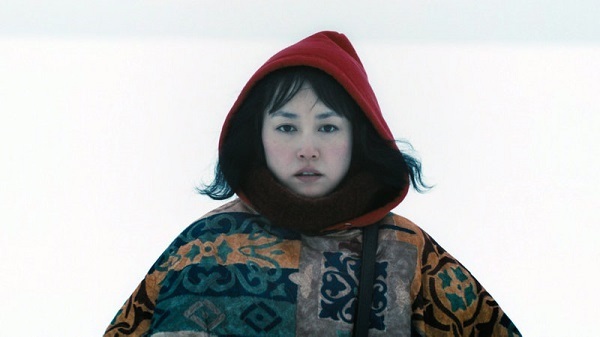 Starring Rinko Kikuchi (Pacific Rim, Babel), the film documents the bizarre quest of a Japanese office worker who insists the events in the film Fargo are real and that the movie documents a treasure map leading to the money hidden in a snowy field by Steve Buscemi’s Fargo character, Carl Showalter. As the film opens, we’re introduced to Kumiko, an awkward 29-year-old who works as the assistant in an office in Tokyo. She lives in a small, unkempt apartment with her only company — a brown bunny named Bunzo. Those who know her tend to capitalize on her failures at life; her boss mentions that ‘0ffice ladies’ are usually married and have children at her age. Her mother badgers her about a promotion, if she’s engaged, and whether or not she’s pregnant. To pacify her mother, she says yes to all. All this changes when she is instructed to purchase a gift for her boss’s wife on the company credit card. Instead, she buys a ticket to Minneapolis and begins her quest to find the fictional buried treasure. Through her journey to Fargo, she meets up with a unique group of individuals who truly belong in a Coen Brothers film. As she comes closer, familiar landmarks pop up on screen. When a sheriff’s deputy attempts to bring Kumiko back to reality, she runs off into the snow-covered hills, determined to find her treasure. Kumiko, The Treasure Hunter is intriguing as it moves at a pedestrian pace, allowing audiences to see Kumiko’s inevitable journey into depression and confusion. When the story moves to the U.S., There is the sense she may be rebounding, but issues from the past return with a vengeance. I have enjoyed Rinko Kikuchi in prior films, but here she delivers a performance both physically and emotionally devastating. Her disheveled look and her lack of posture are completely different than her physically elegant appearance in films like Pacific Rim and Cloud Atlas. Her emotional trek from beginning to end is doubly complex, as she is a stranger in a strange land dealing with issues of sanity. Ultimately, Kumiko forces the viewers to question if what they are seeing is real or if our heroine is simply projecting her own psyche upon them. David Zellner’s direction of the film is slow and methodical, at times utilizing the same atmosphere the Coens use in their films; it exudes a sinister vibe that leaves the viewer with a foreboding sensation. Kumiko is an intelligent film, and the number of unanswered questions outnumbers the answered ones. Sean Porter’s stunning camera work shows the monotonous and claustrophobic environment of Japan and then shifts gears once we hit Minnesota. At that point, the frame opens up, and we see this immeasurable environment that basically reflects the protagonist’s impossible situation. Kumiko, the Treasure Hunter is not a film for everyone. It’s a dark, twisted puzzle that will have you thinking about it long after you’ve left the theater. Rinko Kikuchi delivers a strong performance of a woman trapped between her mundane life and the fantasy world she sees onscreen. Still out on the film festival circuit, Kumiko lures its audience with a unique premise. Although it’s methodically paced, you can’t pull yourself from the screen.